Today, volunteering has never been easier. All it takes is a few clicks to find an opportunity to serve. 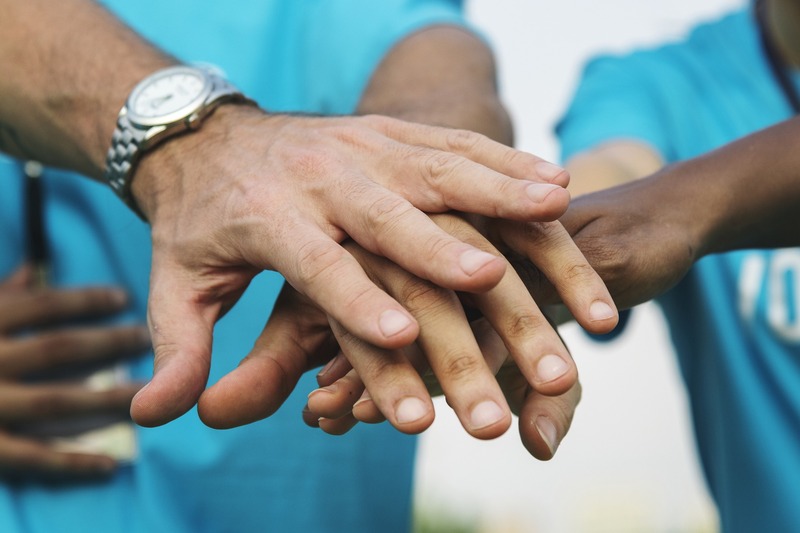 From apps to national volunteer organizations, more and more people are able to easily get connected with a place to give back to the community. According to the Corporation for National and Community Service, volunteering is on the rise in America. In an annual report commissioned by the corporation, the volunteer rate in America is up to 30.3 percent in 2018 from 24.9 percent in 2016. That’s an increase from 62.6 million Americans to 77.3 million Americans. What about locally? The corporation says that Ohio is 23rd in the rankings of volunteer rates. City-wise, Columbus is 28th in the nation with a volunteer rate of 30.5 percent. One local Columbus organization that is raising those numbers is Columbus Gives Back. Columbus Gives Back (CGB) is a nonprofit that connects working professionals with volunteer opportunities across the Central Ohio. Their Director of Marketing and Communications Diana Lolli is a Capital alumna. Lolli graduated from Capital in 2015 with a bachelor’s in Leadership and Management. While at Capital, she played tennis, had two internships, and became a sister of Phi Sigma Sigma. In addition to CGB, she also works in marketing for Columbus 2020. She said that CGB’s origins go back to 2008 when its future founder, Juliana Pernick Hardymon, made a New Year’s resolution to volunteer more. She wanted to work with others like her, young professionals who wanted to volunteer and meet new people. Hardymon posted her first event on Craigslist and 10 people showed up. Fast forward to 2017, after formally structuring the organization and increasing volunteers, CGB became an official 501(c)(3) nonprofit. Each year, Columbus Gives Back is growing more. In 2017, CGB had 299 unique volunteers and 867 volunteer check-ins. In 2018, those numbers rose to 796 unique visitors and 1,758 check-ins. Lolli came to her first CGB event in 2016. “In that post-graduate phase, I searched for volunteer opportunities in Columbus. Columbus Gives Back popped up in the search results, and I gave it a chance. Best chance I ever made … I met some of the humblest, most kind, fun, and social individuals in Columbus, all with a heart to make a difference,” Lolli said. Lolli said that CGB’s target volunteers are young professionals and those over 21. College students and college groups are also able to volunteer with over 100 nonprofit partners and organizations around Central Ohio. These include organizations such as Autism Speaks, Huckleberry House, Ronald McDonald House, and many more. A typical Columbus Gives Back volunteer experience is usually between two and four hours long on a weekday, evening, or weekend day. Each volunteer will be met by one or two CGB event leaders. After the hard work gets done, the event leaders will invite anyone who is interested to lunch, dinner, or drinks nearby. “That’s Columbus Gives Back – service with a social twist. We really do make volunteering both fun and easy,” Lolli said. To sign up to volunteer or learn more about Columbus Gives Back, visit their website.